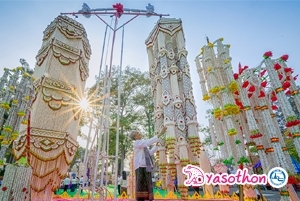 Yasothon is the smallest province in the lower northeast of Thailand’s Isan region. It is famed for its Rocket Festival, which is celebrated each May. The village of Ban Si Than is renowned for producing the iconic Thai triangular pillows.